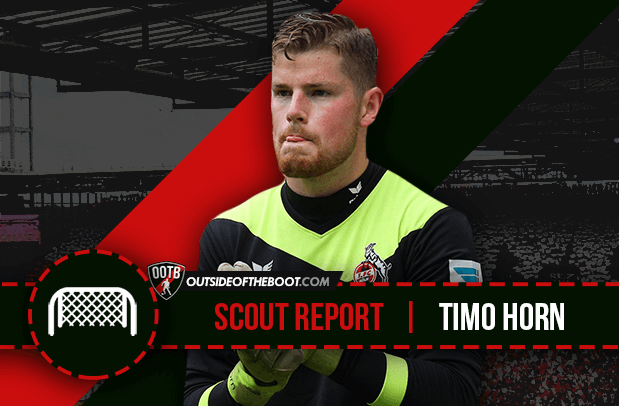 Alex Lynch writes about one of our favourite young keepers on Talent Radar, Timo Horn. Find his detailed scout report below. In a country that has recently become a goalie factory, promising goalkeepers are becoming routine for Germany and their national team. Hearing about goalkeepers from Germany is something that fans of other leagues are used to as well. Manuel Neuer is the world’s best, Ter Stegen and Leno are promising as well, and PSG’s Kevin Trapp is a great goalie too. But the next goalie in the long line of them from Germany is a promising and already good young stopper you might not have heard of, and that’s 1. FC Cologne (Koln) Goalkeeper Timo Horn. Horn is a Cologne boy through and through as he was born in the large German city that holds about 1 million people. As a result, besides playing for a local club, Horn has been with FC Cologne for most of his life, moving to the club in 2002. Horn has then moved through all of the ranks at his hometown club, and he quickly became one of their best prospects. Horn featured for the German U-15’s and U-16’s from 2007 to 2009, quickly establishing himself as one of Germany’s brightest young goalies. He would then feature for the U-17’s in 2010, earning 11 caps at that level, and the next year in 2011, he would feature for the U-18’s and U-19’s. And as Horn’s status rose as a youth player, Cologne started to notice, and while he was playing for Cologne’s second team, he was promoted to the post of number one goalie for Cologne at the age of 19 in the 2012-13 season when they were still in the 2. Bundesliga. Horn in that season made 35 starts in all competitions for Cologne, as the side finished fifth in the league. He was good enough that he was once again the number one keeper for the side that won the 2. 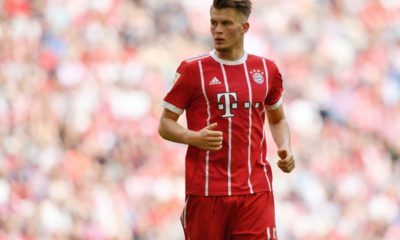 Bundesliga and gained promotion, as he made 35 starts once again in 2013-14 as well as featuring for the German U-21 team for the first time. 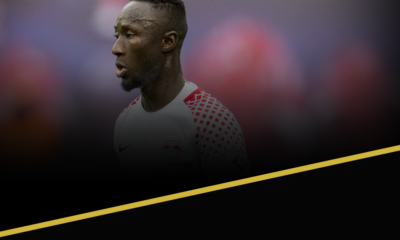 Horn is now the established number one for Cologne in the Bundesliga, as they managed to stay up last season while Horn won 3 man of the matches in 33 games. This season, Cologne and Horn are off to a fast start, currently in 7th after beating Leverkusen, and Horn has been one of the league’s best keepers. Timo Horn finished 2nd in the 2013-14 Talent Radar Young Goalkeeper rankings, behind his fellow countrymen Loris Karius. Standing at 6 foot 4 (1.92m), Horn is very tall and also has very long arms, which allow him to stop close range shots very effectively due to his height and reach. In Horn’s best performance against Schalke, Horn made multiple saves from close range, including a volley from Leroy Sane and a close range attempt from Eric-Maxim Choupo-Moting, while against Hoffenheim as well, Horn made a great close range save from about 4 yards to preserve a 0-0 scoreline. One of Horn’s best saves was a close range header from a corner by Hannover 96 in a 0-0 game. Horn used his reach to make a sprawling save from a curling header, displaying his terrific reach and in the same match he made a save from a low shot while he was moving toward the center of the goal, sticking his foot out at the last second, using all of his 6’4 frame. Besides this season, Horn last season constantly made saves from shots within the penalty area, as his wingspan allowed him to get to the close shots. His impact from close range allowed Cologne to have a very deep defence line, as they only allowed 40 goals last season, the least of any team in the bottom half of the table. Horn is not only good at stopping close range shots, but Horn also has great reflexes and reactions. Despite being 22, Horn has 3 full seasons of senior experience, which allows him to be able to anticipate and react to where shots are going unlike most 22 year old goalkeepers. This separates him from most goalkeepers, as he is able to make the routine saves and the more difficult and flashy saves that not all keepers can make. Against Schalke, Horn made a terrific save from a free kick by Johannes Geis. Horn also made a jumping save against Hertha Berlin from a shot from the edge of the box that would be tough for most keepers. Even this past weekend, Horn made a terrific diving save against Leverkusen’s Javier Hernandez, preserving a 1-0 lead and helping Cologne to a 2-0 win. In all three instances, Horn displayed his terrific reflexes and reactions. 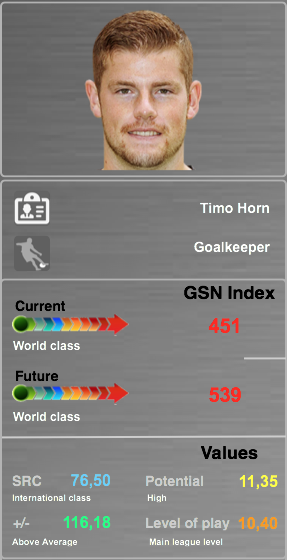 Despite being one of the top Goalkeepers in the Bundesliga this season, Horn still has some weaknesses in his game. Most of his weaknesses have to do with the finesse part of goalkeeping, as Horn isn’t a great long passer or break starter from the net. His passing percentage sits at a mediocre 60 percent, and most of the top goalies have percentages from 65 to 75% . 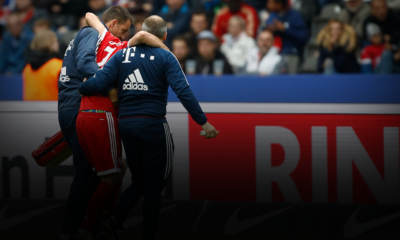 Cologne didn’t play with a lot of quickness or pace last season, and some of that can be attributed to Horn not starting counter attacks from the back the way the Manuel Neuer, Courtois and others can. You constantly see Chelsea and Bayern Munich launch counter attacks because of the throwing ability of their goalies. While Cologne play faster this season, that’s largely due to Modeste and Bettencourt’s respective form, not Horn starting attacks. Another weakness of Horn’s is that he concedes a lot of corners, as since Cologne concede a lot of shots, Horn often faces pressure and has to punch the ball away quickly, which results in corners. 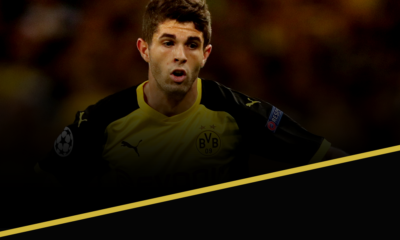 Despite not allowing many second chances, Horn has a habit of giving up corners like the one against Hannover 96. If he can control his punching, or even be able to punch the ball to a teammate that will further strengthen him as an all round goalkeeper, and that is the only way to get noticed by Joachim Low. If FC Cologne and Timo Horn keep playing the way that they are right now, a Europa League spot is not impossible for Cologne to achieve. For Timo Horn as an individual, he’s going to have to keep playing like one of the Bundesliga’s top goalkeepers for Joachim Low to notice him. Horn has a lot of great goalies to get ahead of like Leno, Trapp and Ter Stegen, but with his potential, a Germany call-up is likely to happen some point in his future. Playing in meaningful European games has to be something that Horn wishes to do with his career as well, but that’s potentially very far into the future. Even though we are looking far into the future, if he keeps playing the way he has, Horn has not only a chance to become a goalkeeper for Germany, but a hometown hero and icon in Cologne as well.